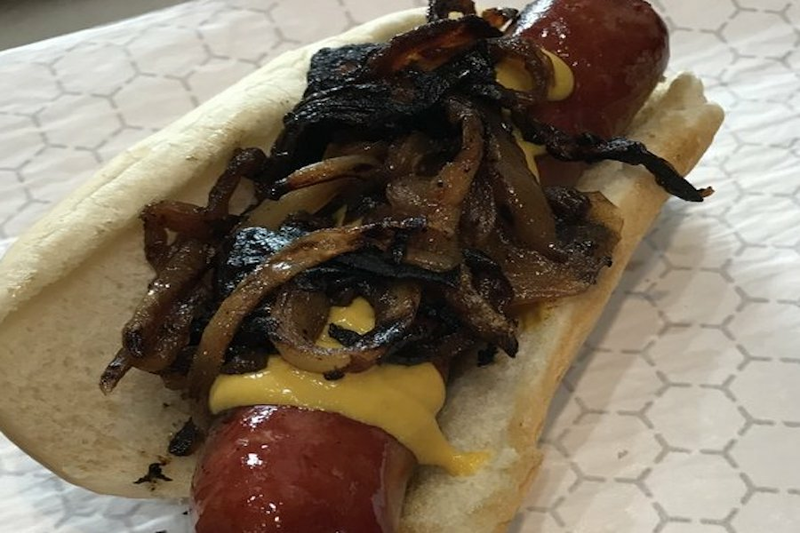 A new family-owned spot to score hot dogs, burgers, milkshakes and more has opened its doors in the neighborhood. Called Wilson's Dogs, the fresh arrival is located at 1141 N. Ashland Ave. in Noble Square. On the menu, you'll find classics like the Chicago-style hot dog and Maxwell Street Polish Sandwich, and familiar favorites like grilled cheese plus a few vegetarian options. Milkshakes come in flavors like Nutella, banana and peanut butter. With a five-star rating out of four reviews on Yelp so far, the fresh arrival has been warmly received by patrons. Mike K., the first Yelper to review the eatery, wrote, "Fantastic spot! The double burger and cheese fries with giardiniera did not disappoint. Will be back very soon. " And Andrew L. said, "I ordered the animal style burger, and it had a thinner style patty with a perfect fry crust. The cheese fries were fresh cut with Merkts cheddar. I left Wilson's feeling full and satisfied!" Swing on by to take a peek for yourself: Wilson's Dogs is open from noon-10 p.m. on Tuesday through Thursday and noon-11 p.m. on Friday and Saturday. It's closed on Sunday and Monday.